Be sure to check out our goodreads.com group for book discussions on previous reads here. Thank you to @Sraika for the nomination! Be on the lookout towards the middle of the month for nominations for December will begin on 16th of Nov.
also, am i the only one who actually reads the books? No Man. I read too! There is this revolutionary new technology for storing books, called a bookshelf. 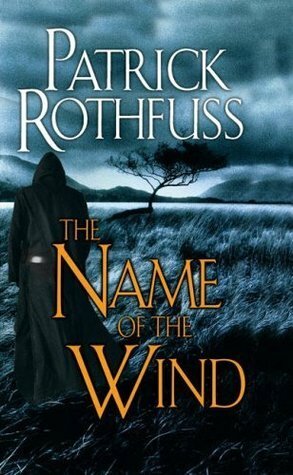 Patrick Rothfuss writes painfully slowly. And I need the third book like... a year ago! But seriously, I love the Kingkiller Chronicles and hope you guys will too. They are also making a tv series for it now. The dude who wrote Hamilton is a producer. I tried to warn yall he hadn't finished the third book, hes been at it like 8 years lol. Still a brilliant series, one of the best. I may not pay much attention to most things on the forum. And if this has been discussed on Discord or outside the forum some place else, I don't notice at all. I'll try and be quicker next time! Books are good and I need an excuse to start reading more for fun and storytelling again. Plus it's getting a movie and a video game. I have not been that active for the last year, so missed a lot. Think I saw a thread about the October book, but didn't really register.